As a rising brand in the field of cosmetics and nutritional product manufacturing it has evenly made a statement with their vitamin C serum. This revolutionary product is an offspring of the 21st century which is now considered by most cosmetic surgeons as the best alternatives to face lift. The product is suitable for any skin type and can be used regardless of gender. 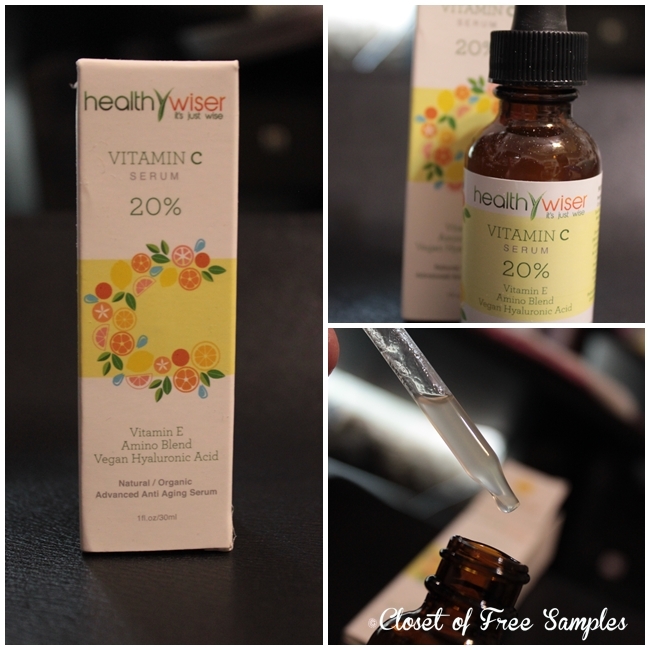 I’ve been using vitamin c serum for over a year now and the Healthy Wiser Vitamin C Serum is definitely a quality one in my experience. This particular brand has the following key ingredients in their product: Vitamin C, Vitamin E, Vegan Hyaluronic Acid, Organic Aloe, Organic Jojoba Oil, Amino Blend. All of those ingredients combined make for a quality serum that works GREAT on your skin – each for various reasons of their own. For me, I personally enjoy using this product after I shower as part of my nightly skin care routine. You can use it twice per day, but once is fine for me. Because there’s a mix of quite a few key ingredients, I only need to use this one product, whereas before I was using multiple products to get the vitamin E and Hyaluronic Acid. So having the ingredient mix is definitely beneficial to me. Since using this facial serum my face has been a lot softer, smoother and I’ve noticed a difference when it comes to fine lines. I’m 27 and thankfully do not have any wrinkles, but on my face you can see some of the fine lines appearing (I blame the kids!) so I’m using this product to help combat that. I noticed a difference about a week after using it so don’t expect results over night. The only thing I noticed immediately was the soft and smooth skin. As far as the serum application goes it’s simple. Just one or two drops should cover your face. It’s a bit thicker than water, but thinner than lotion and has a cloudy transparent sort of color to it. There’s no burning, stinging or irritation during the use. Also, there’s no sticky residue left over – just soft skin. Definitely a great product that I feel comfortable recommending!